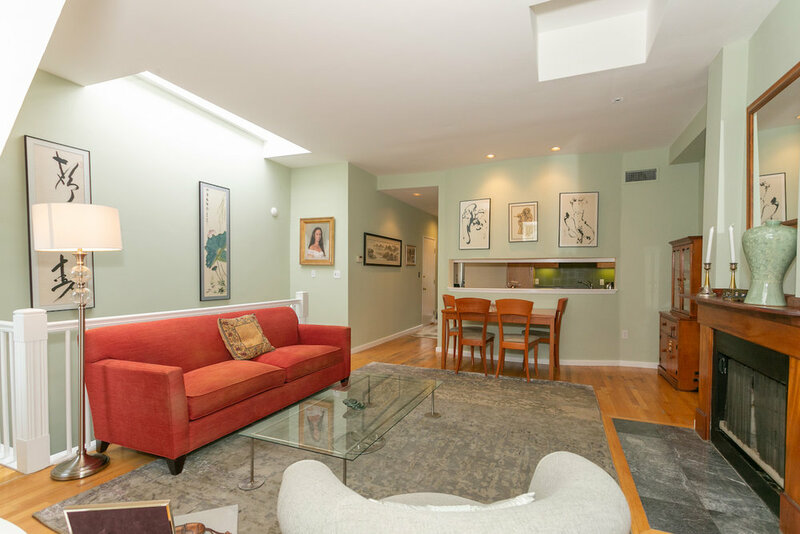 Recently renovated, sunny 2 bedroom/2 bath Philadelphia style penthouse duplex. 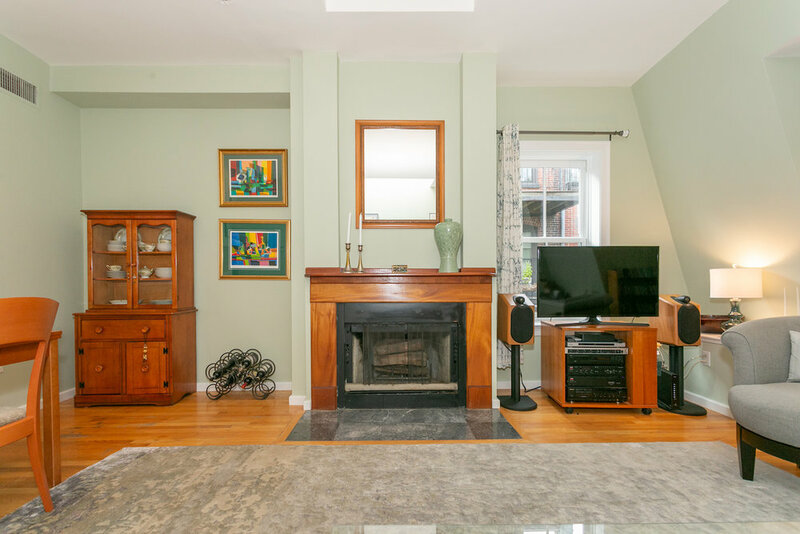 Enter to a lovely sunlit living/dining room with fireplace and corner exposure. Hardwood floors throughout the upper level. 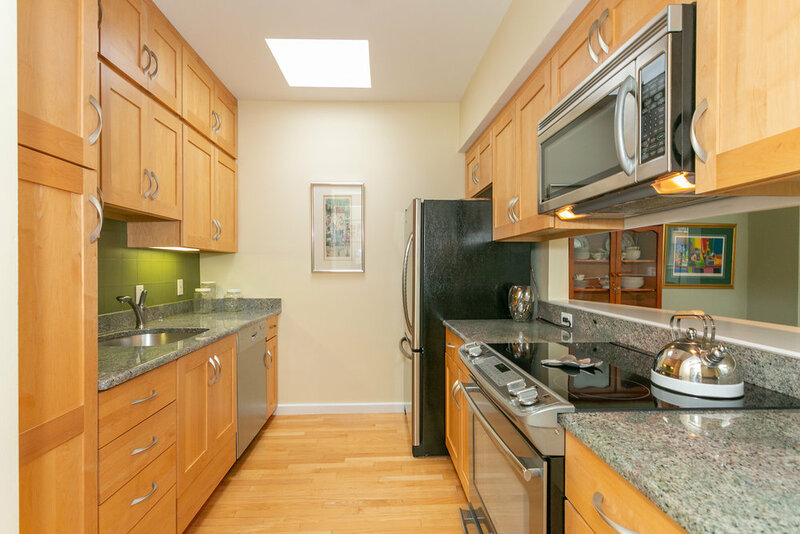 Gleaming granite and stainless steel kitchen with skylight, excellent cabinet space, and a pass-through to the dining area. Top floor also features a full bath and bedroom, currently used as an office/den, which has a door to a wonderful sunny deck. Downstairs is a large master bedroom with ensuite granite bath and laundry. 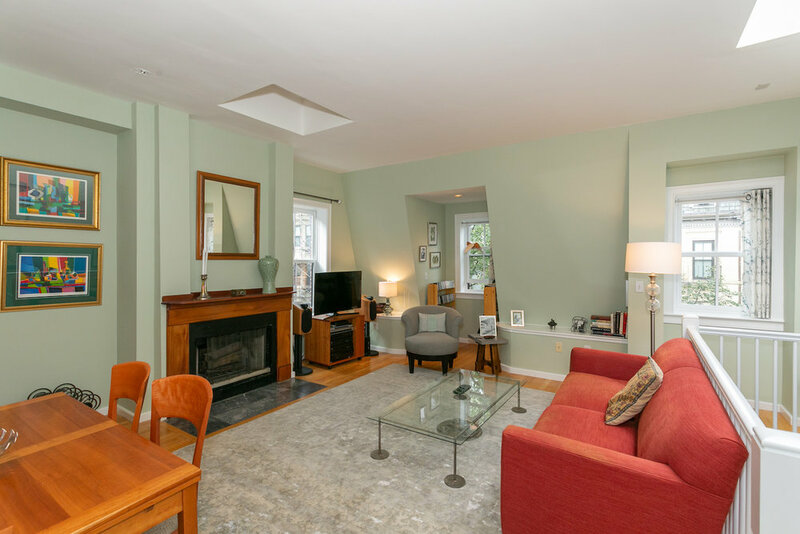 There is a deeded parking space behind the building, and this home has exclusive roof rights. 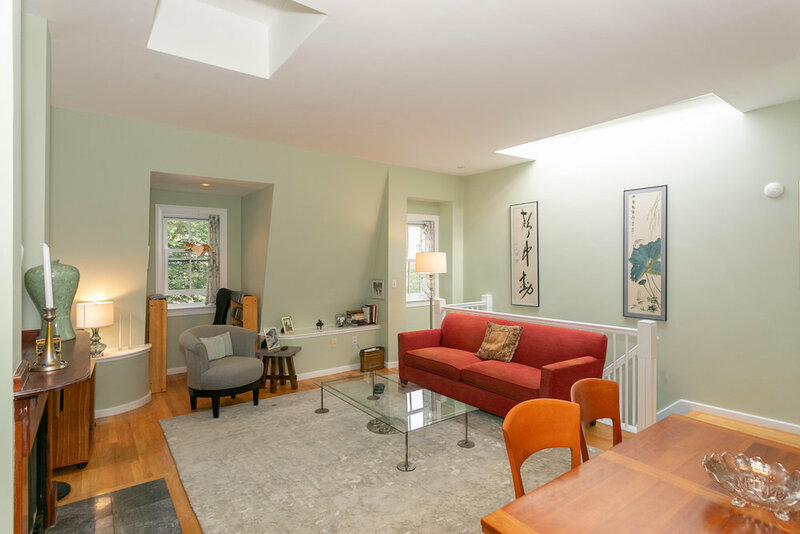 A spacious and quiet home steps from the top restaurants and boutiques of the South End!